So what about avoiding specific utility charges? This presents some possibilities. A few utilities offer rates that encourage and reward electric customers for cutting usage at peak times. Having a home battery could let a homeowner cut usage from the utility but still keep using certain appliances. Unfortunately, at least for now, the economic rewards are fairly minimal and it would take a number of years to pay for an outlay of $7,000 under these programs. The one place where it could make good sense is for those customers building homes far from the existing electric grid. In this case, utilities often charge thousands of dollars extra to extend their distribution lines to a new home in a remote location. In this case, a solar system coupled with Powerwall batteries could indeed be economic. This leads us to the last use, coupling home batteries with a home solar photovoltaic (PV) system. 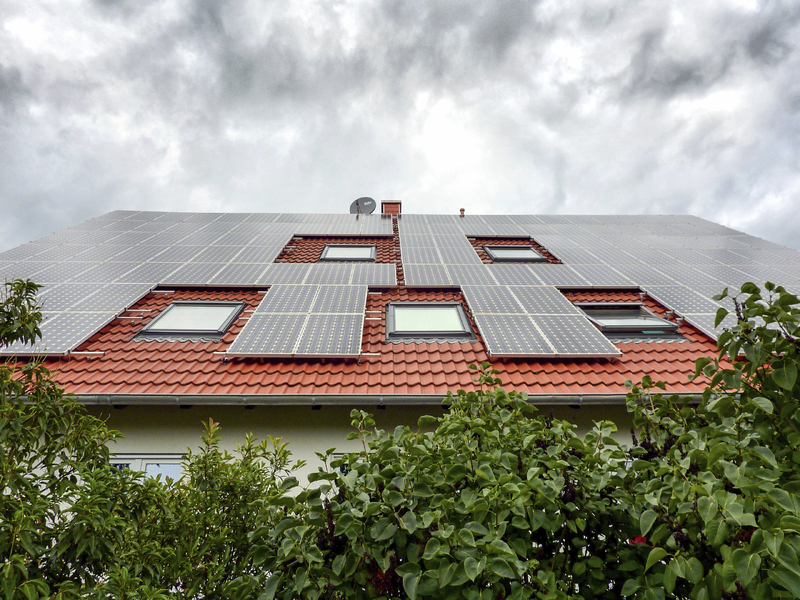 Most PV systems today are built on homes that remain interconnected to the utility system. The systems generate electricity during the day, excess power flows back into the grid, and homeowners draw power back off the grid during the night and on cloudy days. Utilities use net metering for solar power, which means that any power you put onto the grid is credited against power you take from the grid at a later date. In effect, you are using the utility grid as a big battery and you don’t care what time of day your solar panels are generating power. So again, unless you have time-of-use billing, there is no benefit to having a home battery. But recently, utilities have started questioning net metering. Some have suggested that net metering payments should be reduced or, worse for those thinking of going solar, that the utility should charge monthly fixed fees as high as $50/month that would eat up most or all of the benefits of a solar system. This also applies to situations in which utilities may limit the amount of solar power allowed on a specific circuit due to distribution design issues. In this case, the consumer can say “If you make it too hard for me to interconnect, I’ll cut the cord.” Thus, in some regions of the country there may be a market for home batteries right away when they are included in a solar system. And most of the major solar installation companies active in the residential market such as SolarCity, Sungevity, and SunPower all have announced plans to offer their systems coupled with batteries. Without solar, there really isn’t a compelling reason in today’s market to buy a home battery. And, unlike the Apple Watch, you probably won’t get too many “cool points” for having one. 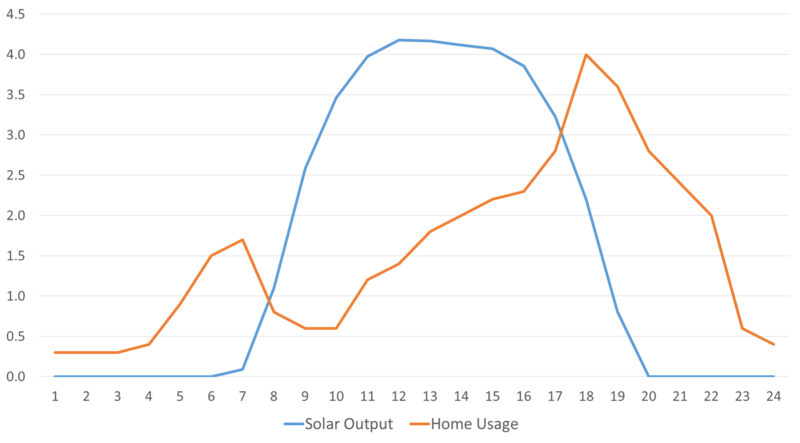 But as the home solar industry continues to evolve, and as utility companies try to respond to what many view as a threat to their historic profitable business model, lower-cost home batteries definitely change the equation. Thus, the Powerwall battery announcement may have a lot to do with Tesla’s relationship to SolarCity as a warning to utilities to play nice. As a result, many utilities may decide to simply treat residential solar and home batteries as a future resource, design them into their distribution systems, and pay fair value for the benefits they provide. While these type of issues are playing out, batteries are more likely to make sense in commercial rather than the residential sector. We will explore that in a future post here on Energy Currents. This entry was posted in Electricity and tagged Battery Systems, Electric Storage, Electric Utilities, Home Batteries, Rooftop Solar, Utility Business. Bookmark the permalink.